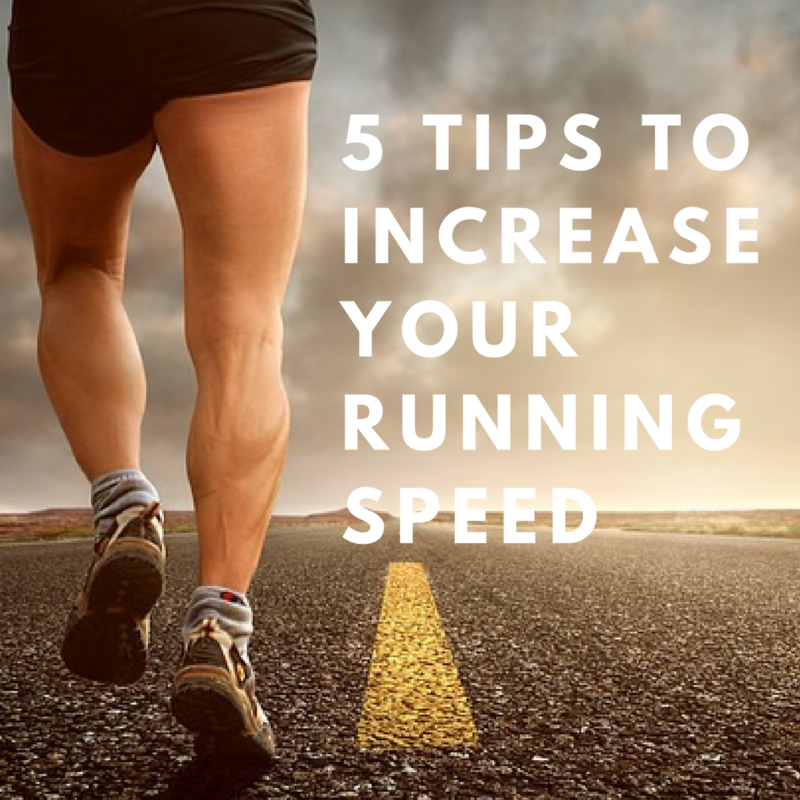 Whether you’re a runner, sports enthusiast or any other kind of athlete, at some point, you’re going to want to increase your running speed. If you normally run for distance, training to increase your overall speed is going to a welcome change to your current regimen. Instead of clocking more miles, we will be focusing on more purposeful training. Building strength and power is going to be key to increasing your run speed. In today’s blog, we go over five different ways to help you run faster. One of the quickest ways to shave minutes off of your race times is to get accustomed to running at a faster pace. To get our body to be able to adapt to the physical demands of faster running, you guessed it, we need to run faster. Two of our favourite training methods to increase your overall speed are Interval and Fartlek training. Interval training – An interval training workout involves alternating periods of high-intensity effort with periods of low-intensity effort, which is called the recovery. For runners, this would typically involve bouts of fast running with slower running. Fartlek training – Fartlek, meaning ‘speed play’ in Swedish is where you train at different speeds. Unlike interval training, which has structured periods and high and low-intensity work, with Fartlek, you change the pace at which you desire. You literally ‘play’ with your speed. You can sprint flat out in certain parts, jog or even walk in others. You gauge your own capacity level and so long as you push yourself, you’re doing Fartlek. A great workout is to get a group of you together and take turns in setting the pace when you go out for a run. – Increased force production – getting stronger decreases the relative intensity of submaximal muscle contractions, such as those performed during running. If you’re stronger, every running stride is easier than it would be if you were weaker. You’ll also consume less oxygen to do a given amount of work, which improves running. – Better glycogen storage – more lean muscle means more glycogen, which is your body’s favourite fuel for intense exercise. Glycogen is a stored form of carbohydrate that is easily burned for energy and running out of glycogen during a long race is a runner’s nightmare. Building lean muscle gives you a bigger ‘gas tank’. – Fast twitch muscle fibre development – our fast twitch muscle fibres are responsible for intense, powerful movements, such as climbing a steep hill or the kick at the end of a race. These fibres are best developed with weight training – the more intense, the better. So lifting weights with explosive intent (i.e. trying to move the weight quickly) or lifting close to concentric failure (i.e. until you can’t move the weight anymore) develops these fibres to help you run harder and faster. Hill sprints are one of the best exercises you can do for building explosive strength and speed. The added resistance of running up an incline places a much higher demand on your lower body than running on a flat surface. Strength training in the gym is a great complement to speed training, but actually going through the motions of running whilst adding load (incline) will take your training to another level. Hill sprints will also help you build your neuromuscular development. According to Runners Connect, “A boost of ‘fitness’ to the neuromuscular system allows your body to increase the speed at which it sends signals to the muscles and, more importantly, allows your body to activate a greater percentage of muscle fibres and fire them more forcefully”. Whilst rightly so, most of the emphasis when trying to increase your running speed is placed on your lower body. But people tend to forget the core also plays a key role in stabilising your body whilst out running. Some endurance athletes focus on traditional exercises; sit ups, crunches and others that build muscle in the abdominal area when really the focus should be on the ‘core’. The core is vital to prevent excessive torso rotation, transfer force and stabilise the spine. Carla Cupido explains, “Think of the relationship between your nervous system and the rest of your muscles like a telephone conversation: With a better connection, exchange of information is more efficient. This results in improved movement with greater strength, power and endurance. The less energy wasted by the body trying to control movement, the more energy available for running fast”. Focus on core exercises where the spine stays in its natural position. Compound lifts like the squat or deadlift are perfect for developing core strength as well as other vital stabilising muscles used in increasing your running speed. A big part of increasing your speed will come down to perfecting your form when out hitting the pavement. When your performance starts to plateau or you’re not making the improvements that you think you should be making, your first step should always be to look at your technique. The devil is always in the details. – Maintain a short, quick stride. Do not try to lengthen your stride; avoid reaching forward with your foot, which can lead to overstriding and will set you up for injury. – Keep your knee in line. Make sure your foot strikes under your knee, not in front of it, which can lead to injury. It doesn’t matter whether the heel or forefoot hits the ground first, as long as your foot is not in front of your knee. This is especially important when running downhill. – Push up and off. Focus on pushing up and off the ground behind you. – Watch your elbows. Keep your elbows bent at 90 degrees or less. – Relax your hands. Keep hands loose and below your chest. Make sure your hands don’t cross your midline and your hands don’t punch forward, both of which can throw off your gait. What methods have you used to increase your running speed? Let us know at @EtchRockUK!